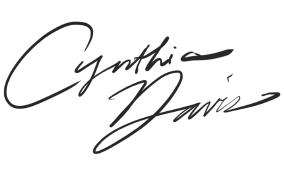 During her career spanning more than 25 years, Cynthia reached the highest echelons of leadership and responsibility, achieving success in some of the most highly-respected organizations including General Electric, Lockheed Martin, Raytheon, and Bausch & Lomb. Along the way, she led, lived through, and experienced the many highs and lows of corporate existence, from massive growth, to mergers and acquisitions, to business restructuring and divestitures—all the while building her very successful real estate investment company and business advisory firm. Today, Cynthia has created one of the most unconventional and successful consulting, training, and business advisory firms, Radiant Blue, LLC. Supporting a wide range of businesses (domestic / international, commercial / defense), Cynthia and her team of highly skilled facilitators, trainers, and subject matter experts are recognized for their ability to quickly assess the mission and organizational landscape to create and implement targeted and transformational solutionsin response to their clients’ greatest challenges—executive leadership development, cultural transformation, profitable growth strategies, turn-arounds, transitions, and lucrative mergers, acquisitions and divestitures. Transforming a lack-luster business with low moral into a thriving business recognized for their spirit of innovation and results oriented mind-set. Developing the strategic plan and leading a collaborative team through implementation to become the recognized market leader. Defining and aligning senior leadership teams around their vision, critical mission, while codifying the values and behaviors required to realize their objectives. Facilitating multi-functional teams in highly controversial and emotionally charged environments; teaching the skills that foster continued self-awareness and mutual respect. Introducing the most advanced method of warfighter replication training and mission support used to effectively prepare our soldiers for the most complex and critical missions. 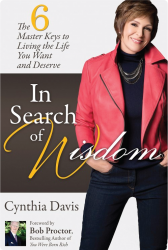 Cynthia successfully combines her deep knowledge and reverence for business and a quarter-century of executive leadership to help other leaders create profound business and life success for themselves. With her leadership and her carefully selected teammates, leaders can easily navigate the challenges of business growth, personal and business transitions, cultural change and transformation and readying their teams for mission success. 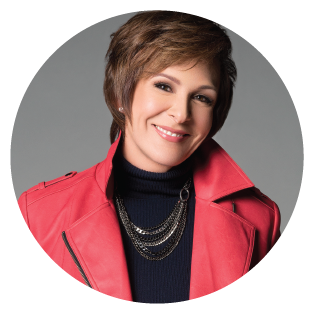 In addition to her business advisory work, Cynthia is a best-selling author, speaker, facilitator and mentor and founder of “Leaders of Distinction”, a community of leaders committed to business and personal mastery and transcending the status quo. Through peer participation and one-on-one executive mentorship, Cynthia creates a safe environment for C-Suite Executives and business leaders to learn, do, and thrive in both their personal and professional lives. With over twenty-three years’ experience in strategic business planning, P&L and operational leadership, business start-ups, large-scale capture campaigns, systems & software engineering, and related roles, Bill continues to garnish the respect of entrepreneurs, major corporations like Lockheed Martin, Boeing, General Dynamics, as well as mid-size players to include SAIC, Leidos, CACI, CSRA, L-3 and Orbital ATK to name a few. Highly sought after for his unique combination of strategic and operational expertise in both the defense and commercial markets qualifies Bill to provide guidance and perspective to Senior Executives on a wide range of issues… evaluation of potential mergers acquisitions, divestitures and joint ventures, in-depthprogram reviews,development and positioning of new products, services, and markets, and discovering untapped opportunitiesfor cooperation and collaboration throughout the industry. 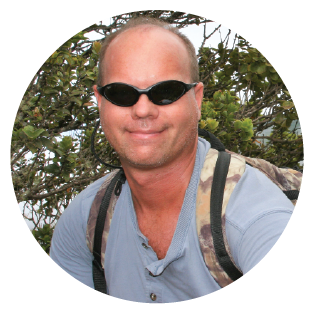 As CEO, Legion Systems, Bill’s visionary expertise and his ability to develop strategic partnerships and implement unconventional solutions has resulted in Legion Systems’ reputation for “translating theory into results”, both on and off the battlefield. and much more. In total, more than $5 BILLION in new business competitive capture, leadership, and implementation! 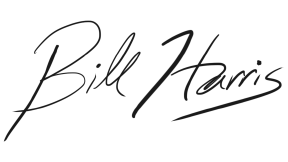 Bill is exactly the sort of visionary leader and innovator to help guide his clients, partners, and businesses to even greater growth, market and end-user impact and business profitability. IS TO CREATE A WORLD OF CONTINUOUS, NEVER-ENDING LEARNING, ADVANCEMENT, AND GROWTH! To guide you on your journey to exceeding your goals, objectives, and mission success? Let me start by sharing with you a little of what we were doing BEFORE launching Radiant Blue. You see, together, Bill and I spent more than 50 years working our way through “Corporate America” … helping highly-respected companies like Raytheon, Lockheed Martin, Dover Corporation, Bausch & Lomb, and General Electric achieve, no…exceed their goals. Quite frankly, you can’t survive that long in that line of work without knowing a thing or two about how to help people identify their goals, set priorities, believe in themselves, and achieve success. …all within very highly-competitive environments! Because of our passion, values, training, and experience, we have a somewhat different approach to achieving success—whatever “success” might mean to you—than most trainers and consultants out there. So, if you’ve followed all the “traditional tracks”, realizing the same mediocre results …then, it’s your time to transcend the status quo with long-term sustained results. The Radiant Blue Team will help you revitalize your team, develop a spirit and culture of winners, and learn the most successful methods and processes to win new business and perform beyond the status quo. Our unwavering commitment is to provide the most effective, experiential and transformational training, the wisdom of seasoned mentors and the deep independent consulting support to ensure your mission success … our values are based on “teaching others to fish”. In building this unique training and consulting business, we have hand-selected every team member, based on common values, depth of experience, and their ability to transfer skills and knowledge to you. We look forward to working with you and together, experiencing just what success, harmony, and transcending the status que looks like for you and your team. Send us a message or request information!